Announcing its quarterly earnings, MTG said that in Q2 it delivered the highest quarterly sales in the group’s history and also recorded higher operating profits than last year. The firm said that it benefitted from a combination of on- and off-line advertising, subscription and content production businesses, allowing it to successfully monetise “rising video consumption levels.” With its Viaplay service it is also capitalising on the shift from linear to on-demand viewing. “Both Viaplay in the Nordics and our emerging market wholesale channel business performed well in the quarter, and our results were boosted by the content production business,” said MTG president and CEO Jørgen Madsen Lindeman. “TV advertising market development remains mixed but we grew our online advertising revenues in all markets. We continue to adjust our cost bases to the market development, and to maximise the earnings potential in our traditional businesses so that we can prioritise investments in future growth. Among the significant events detailed for the quarter was MTG’s Nordic content deal with Sony Pictures Television, the launch of its TV1000 Russian Kino movie channel in Isreal and its acquisition of youth media brand Trace. to SEK307 million, compared to SEK376 million in the same quarter last year. 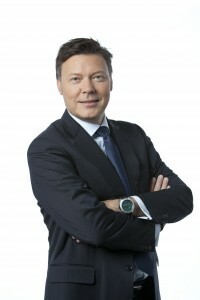 Looking forward, Lindemann said: “Advertising spending trends across our 11 free-TV markets are mixed but we will continue to adjust our investments accordingly and to grow our online shares.” He added that MTG is currently analysing Russia’s proposed ban on advertising on pay-TV channels from 2015.